Oh ya the name says it all, this bad boy has some serious swagger! 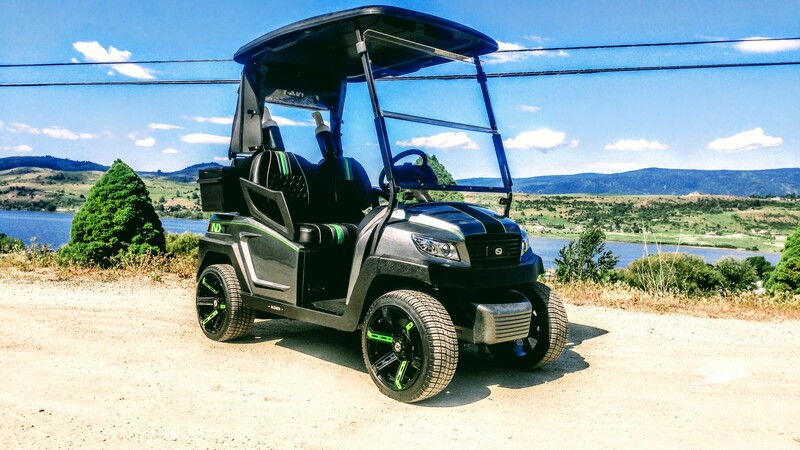 Turning heads is what this cart is going to do, from the amazing color matched body to seriously stylish wheel package, this cart has swagger written all over it! The rendering shows you just how cool this cart is going to be! Here is a rendering of the cart to give you an idea of the finished machine. But before we get to far ahead of ourselves, we need to get back to basics, this cart got the complete SC Carts refurbishing process which means there wasn’t anything overlooked! How about these rims! These color matched carts are a lot of work, but they pay off in the end, here the underbody sits drying after getting coated in epoxy sealer. The front underbody and upright covers also get the same treatment. Along with the rocker covers and bumper. After laying down base coat and several heavy layers of clear this rear underbody looks amazing! Another angle of it, this makes all the man hours worth it. More beautiful parts ready to be installed! We even color matched the front bumper, this will give it that extra touch. This time of year the booth doesn’t get a break, as soon as something is dry the booth is loaded again and away we go! Here the body is ready to be sealed. Front and rear bodies cleaned and ready for sealer. Sealer on and ready for base coat! There’s that amazing blue Mercedes base coat. Drying in the booth after clear coat. You aren’t going to want to miss this one, and hey if you are looking to own it, you better hop on it, this cart won’t last long if it makes it to the showroom floor! Look for more updates this week on our Facebook page or come back next week to see this cart come together.